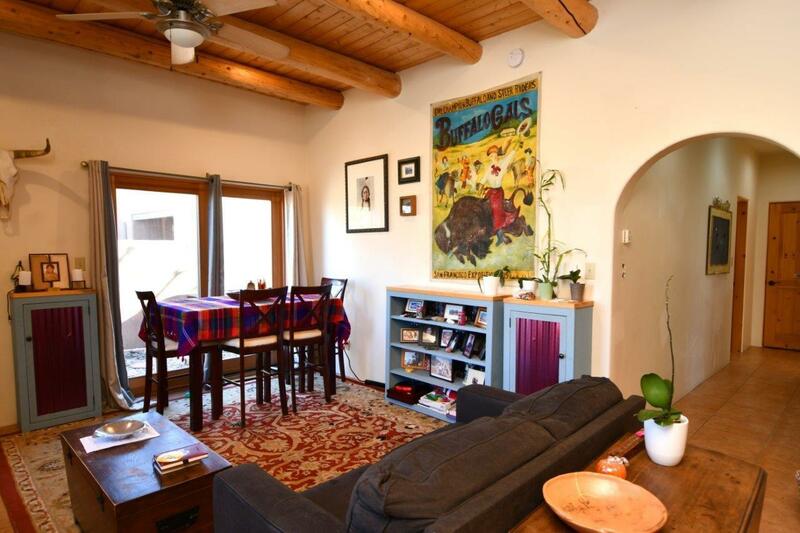 EASY DOES ITEasy, carefree living is insured in this eco-friendly, user friendly 2BR/2BA 1,089 sq. ft. condo. 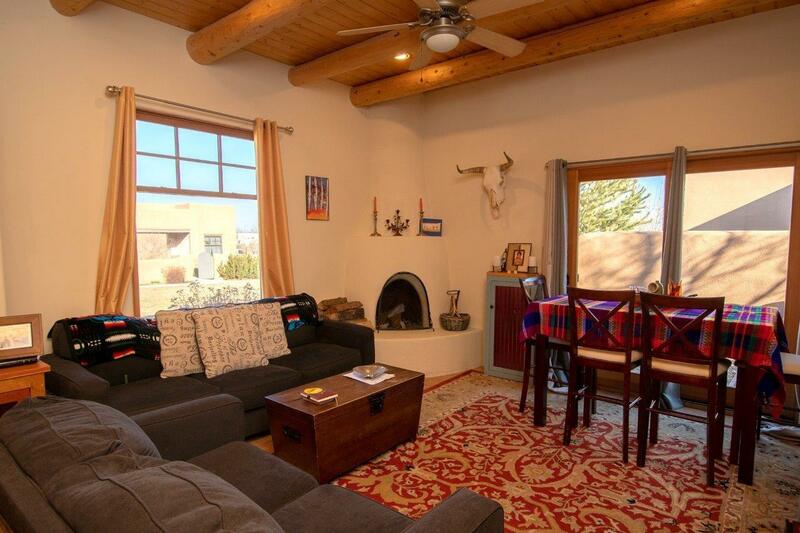 Beautiful Southwest touches like a kiva fireplace, vigas, and tile floors grace the living room. The floor plan is open, yet spaces are defined with a kitchen large enough to cook for a crowd or a couple and with a dining area overlooking the landscaped common areas. Lots of windows provide light & views. The master is roomy, and the master bath boasts a large walk-in shower, double sinks, and full-size washer & dryer. Sub-floor radiant heat will warm you in the winter and R-24 insulation will keep you cool in the summer. 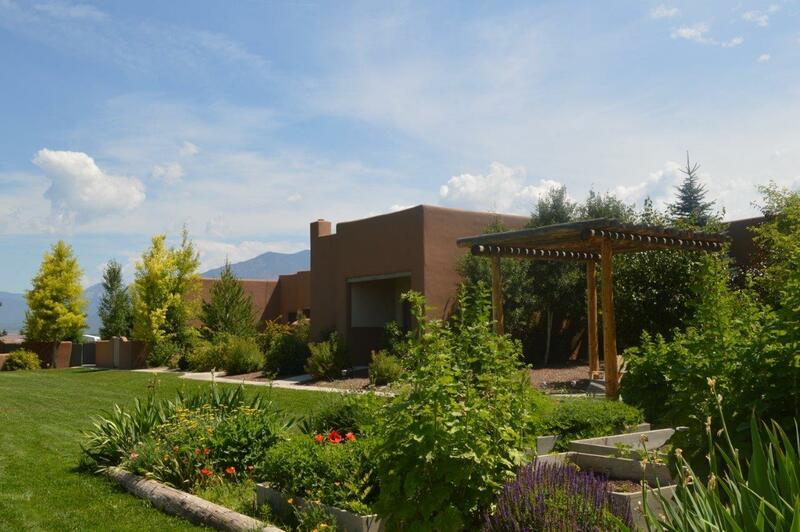 In the Summer youll want to take advantage of the large, fenced yard which is accessible off the living area and has views of Taos Mountain and the foothills which are nearby for walking, hiking, & biking. 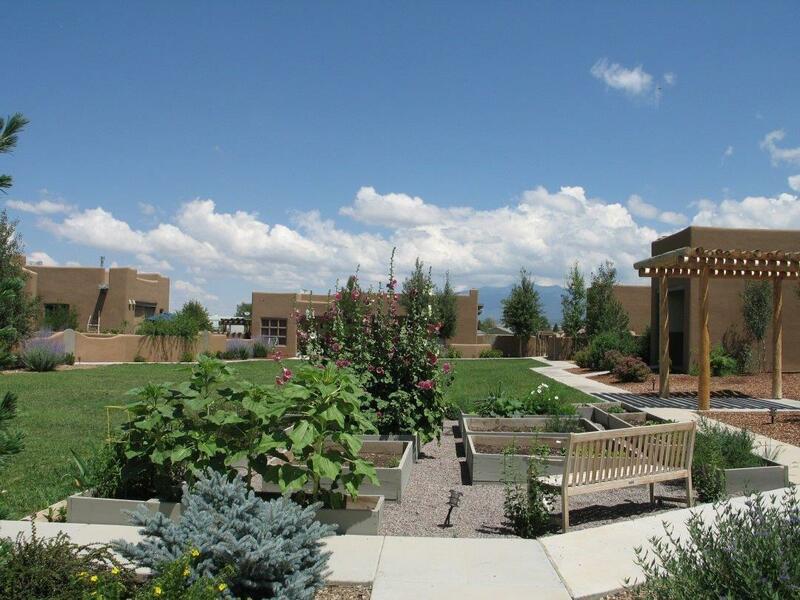 Youre also close to shopping, movies, swimming, and historic Taos Plaza is about 10 min. away. Taos Ski Valley or Angel Fire about 45 min., Golf 12 min., and the Rio Grande Natl Monument 15 min. Low maintenance. Energy efficient. Easy year-round access. Easy on the pocket book too at $259,000.